While the weekend didn’t exactly go as planned thanks to Mother Nature canceling the game vs the Idaho Vandals. Nevertheless, I did want to share some pictures I snapped from the pre-game tradition “Gator Walk”. 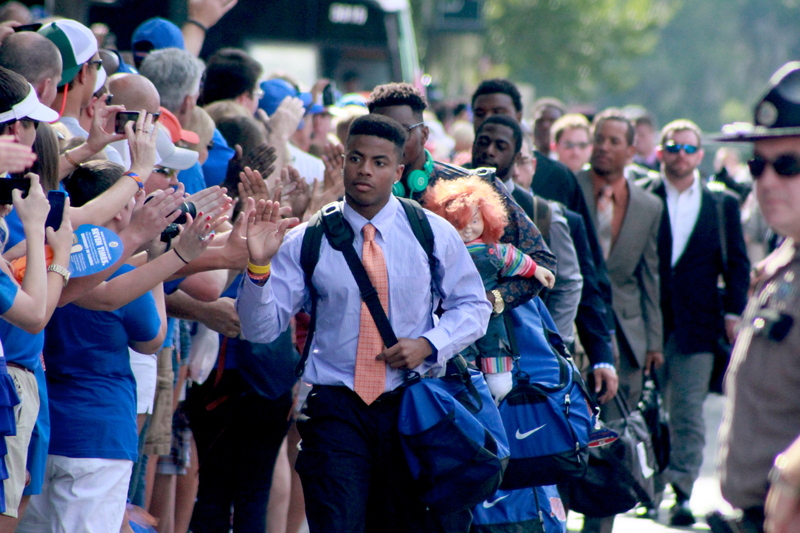 It is pretty appropriate that Vernon Hargreaves III, a Sophomore Cornerback is leading the Gators through the Gator Walk into the stadium because he is also considered one of the leaders of the team. Remember his name, because he will do big things at Florida and most certainly in the NFL. 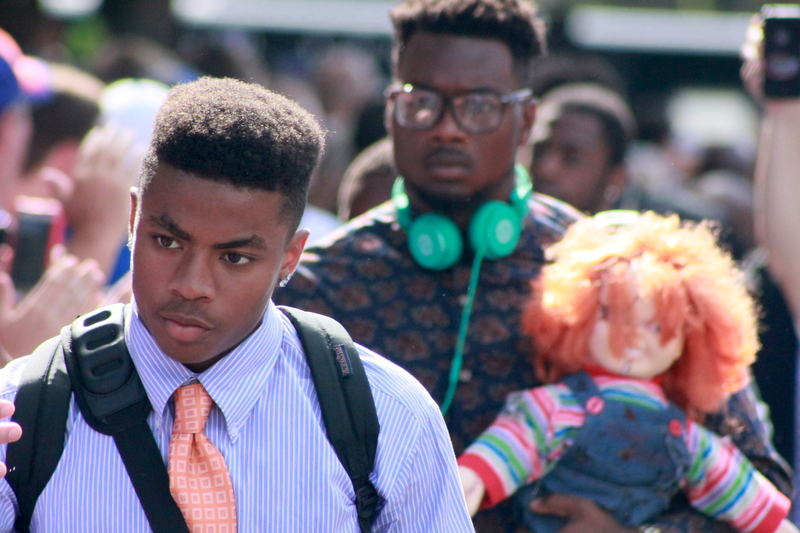 So your probably wondering what the deal is with the Chuckie doll Dante Fowler Jr is carrying. This new tradition actually started with former Gator Dominique Easley, now with the New England Patriots. Easley was one of a bazillion injuries the Gators suffered last year and was considered a leader of the team. 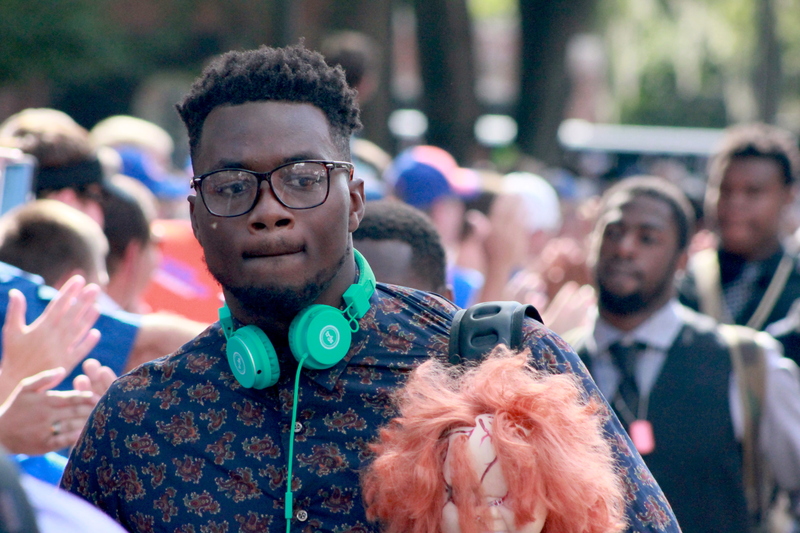 Easley gave Fowler the Chuckie doll to sort of pass the torch of leadership. I still think Dominique Easley is and should be considered one of the greatest Gators of all time. I fully expect Dante to officially pass that torch to Vernon Hargreaves. Dante Fowler and Chuckie again. ← How many BlueJackets does it take to stop Nate Thompson?